eCARE Calling Service | Senior Care Telephone Reassurance Program - Checks Senior Well-Being. Since 1978, Database Systems Corp. (DSC) has been providing technology and software for thousands of clients including our U.S. Military as well as law enforcement agencies throughout the country. 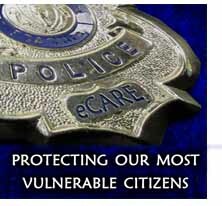 DSC provides a calling service for community service organizations called eCARE. This online service is a calling program that contacts senior citizens at home to ensure they are OK. This service is ideally suited for small to medium communities where there are a limited number of seniors enrolled. For larger communities, DSC offers an affordable CARE Phone System that can be purchased. Police and Sheriff's organizations as well as senior community groups and care givers can benefit from this service. Instead of managing computer systems, modems and telephone lines, administrators can focus on the enrollment and management of seniors within the community. Administration can be performed on any device that has internet access from virtually any location. Senior citizens can enroll in this program through local community organizations such as their police or county sheriff's office. Enrollment is easy, yet it provides the senior with flexible calling schedules and multiple contacts in the event of an emergency. DSC has prepared a comparison between CARE Systems vs eCARE services. Rather than using a dedicated phone line attached to your computer, eCARE calls are made from a bank of phone lines maintained at our call center. Considering the cost of today's phone lines, several seniors could be called with just that savings alone. No computer and telecom need be purchased and maintained. eCARE Is A Service that uses our computer phone systems and software to place calls to seniors living at home alone. The senior is instructed to acknowledge the call using the "Press 1" option on the phone keypad. If the call is not answered or the senior does not acknowledge the call, an alert sequence is initiated that calls or emails family or friends of the senior. The senior can also call our 800 number and check in using our I'M OK eCARE feature. If the senior has no one to check in on them, the calls and alerts can be sent to the eCARE management center which is typically the local police or sheriff's office. An alert is also posted online informing the center that the senior did not respond. Create Your Online Account For Free! In the past, telephone reassurance programs were operated from within a police and sheriff's office, with a computer system connected to a analog telephone line through a modem or telephony card. The computer is usually maintained in a busy office, and in many instances, this environment is not ideal for this technology. 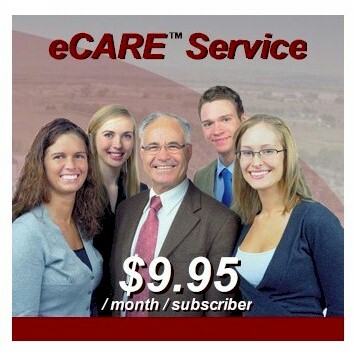 Signup cost is $25 - includes one month usage to try our eCARE service. 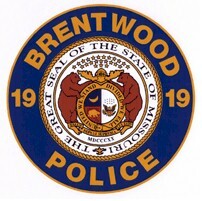 Our eCARE phone service using technology developed by Database Systems Corp. was provided to the City of Brentwood Police Department to check on the well-being of disabled persons, older adults, and individuals who live alone within the city limits.